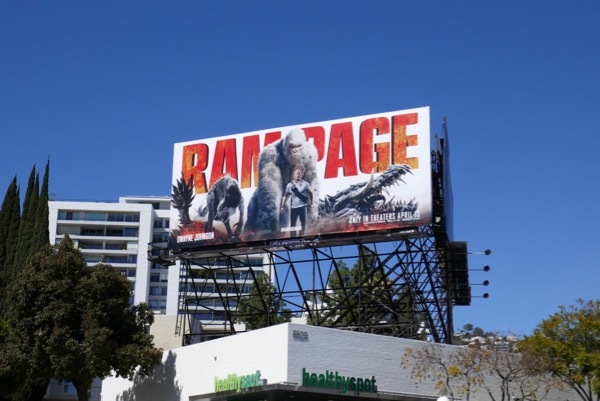 Do these movie billboards for Rampage make you want to beat your chest and yell like Tarzan, or is it just us? 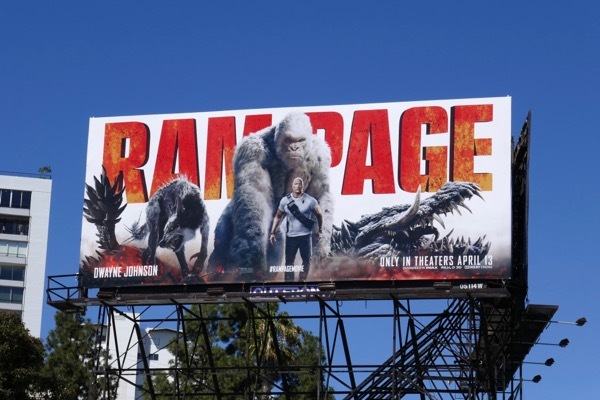 It's certainly shaping up to be a year on video game adaptations at the cinema, with the recent Tomb Raider reboot and all the nostalgic pop culture references in Ready Player One, and now the 1980s arcade game Rampage is bursting onto the big screen with help of Dwayne 'The Rock' Johnson. 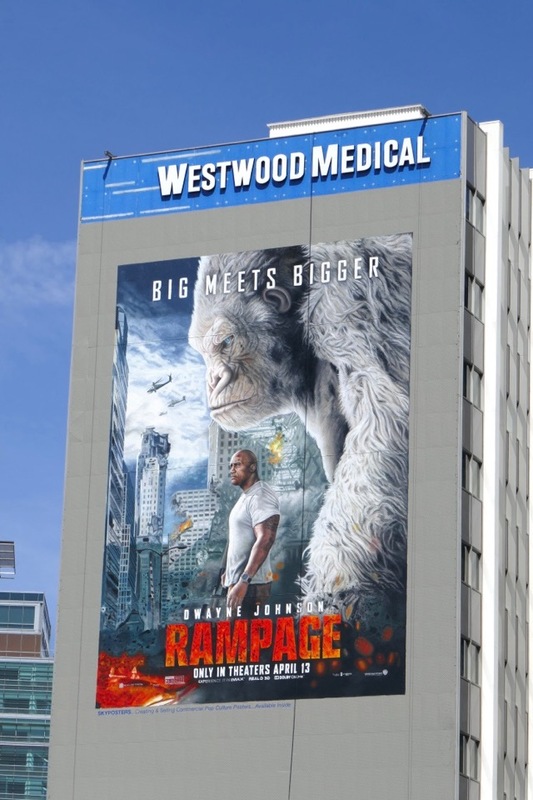 In this new action movie Johnson plays 'Davis Okoye', a Primatologist who shares an unshakeable bond with the silverback gorilla, 'George', who he has known since he was a baby. 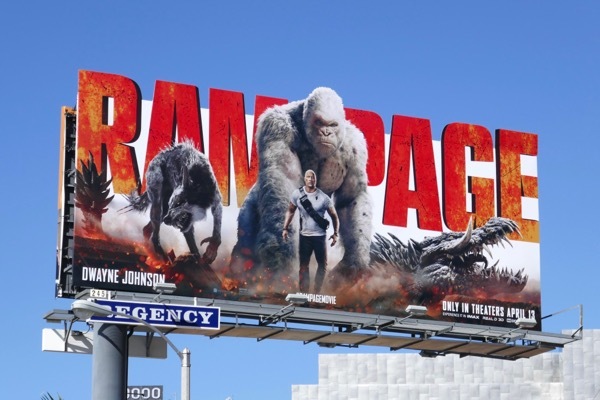 A rogue genetic experiment transforms his gentle simian friend into a rampaging monster and Okoye must try to stop him and other newly created raging predators before they destroy everything in their path. 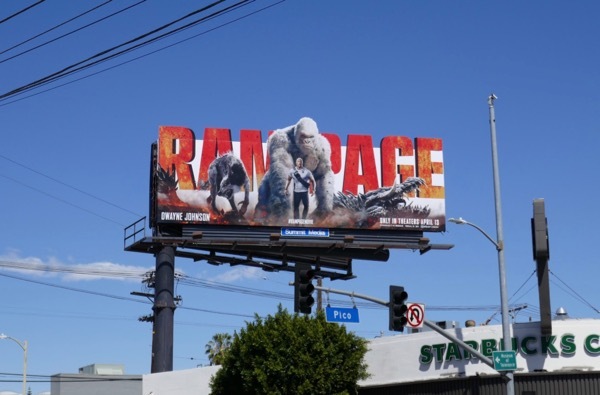 These striking movie billboards were spotted along the Sunset Strip, Pico Boulevard, Santa Monica Boulevard and La Cienega Boulevard from March 25 to March 30, 2018. 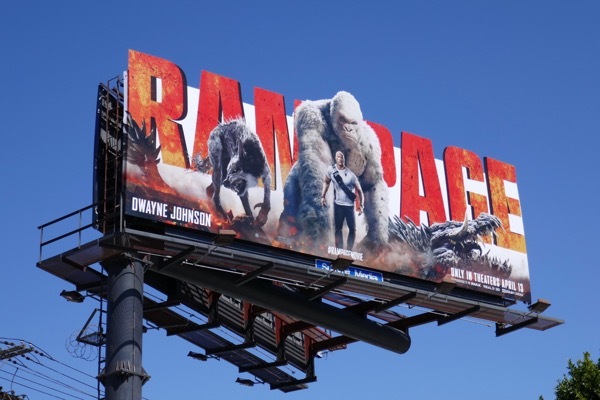 Fans of The Rock can also check out all these other Dwayne Johnson movie and TV billboards, whilst for more monkey business you can also enjoy these King Kong billboards, these billboards for The Legend of Tarzan and these Planet of the Apes movie billboards. 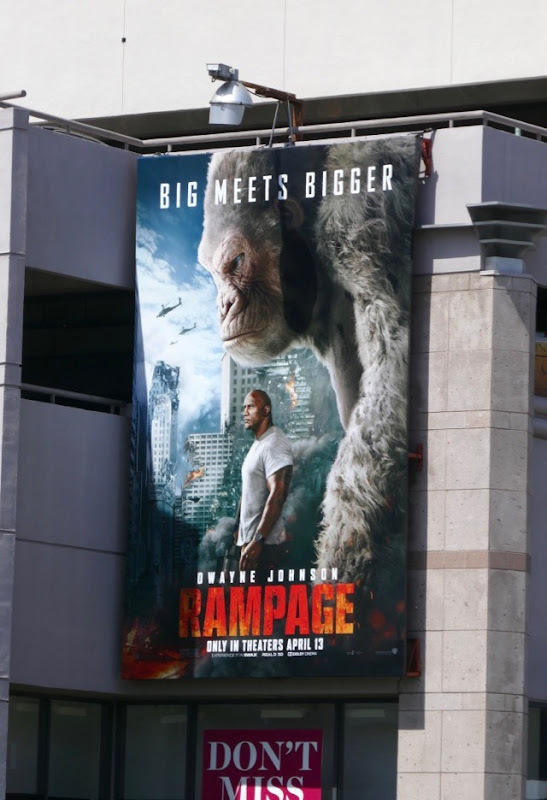 This year we've already seen rampaging monsters in Pacific Rim Uprising, so let's hope this big ape and his human friend can deliver something different at the box office this April. 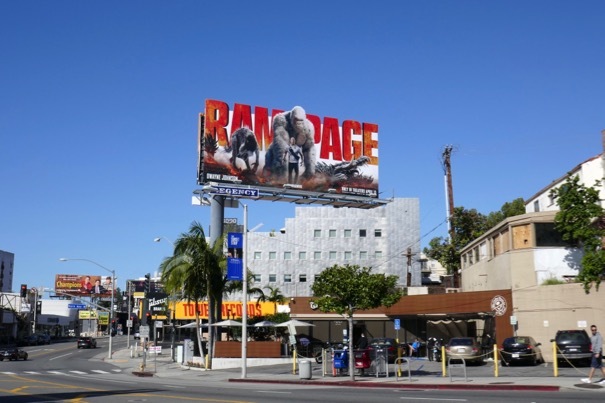 UPDATED: Here's also a giant-sized portrait billboard for Rampage spied high over Wilshire Boulevard on April 8, 2018. 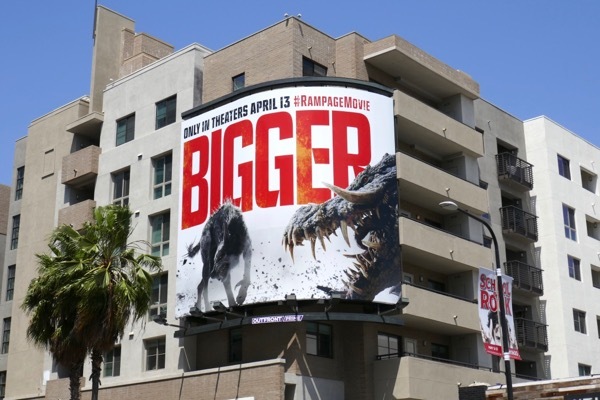 UPDATED: Here's also another monster billboard spotted amongst a smattering for the movie at Hollywood & Highland on May 14, 2018.